A pioneer CD900 repaired today on behalf of Dave at KPD Sounds. Not only do we perform PCB repairs but audio visual repairs and any type of DJ equipment. Saving money for customers is what our intention is here at Greasley Electronics in the ‘throw away’ society that we live in. 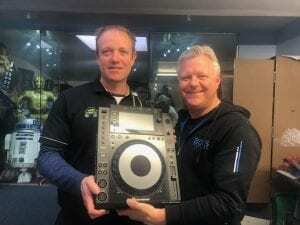 Electronic repair is our speciality and we are proud to have maintained this relationship with Dave for many years now which enables him to perform his day to day work in the music industry.